ID: 44 ~ Source: University Archives Photograph Collection, UA 8. ~ Creator: College of William and Mary. 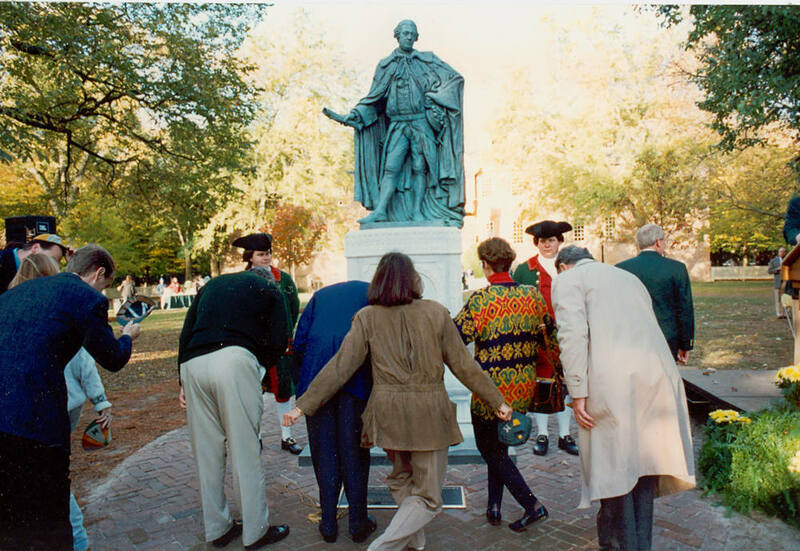 Alumni bowing to new Lord Botetourt statue at dedication during Homecoming 1993.